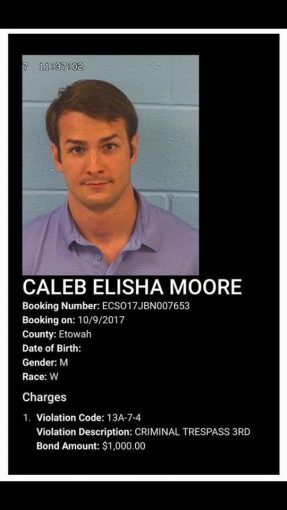 THE DIRTY ARMY: Nik, saw news this AM that Roy Moore (the Republican US Senate nominee) has a son, Caleb Moore, that was arrested for a NINTH time. This particular violation was a criminal trespass of the third degree. Gotta love these politicians and their sordid lives!